Located on the Atlantic coast of western France, Saint Gilles Croix de Vie offers visitors stunning scenery and a relaxing holiday in a pretty, traditional French village. There's a long stretch of sand to enjoy at Le Grande Plage, as well as three smaller beaches for a quieter day by the sea. The town is home to a range of quaint cafés, shops and boutiques, as well as typically French restaurants serving a wealth of delicious dishes. Summer France offers a range of accommodation, bringing customers the best of this pretty town set in the heart of the Vendée region. Choose from smaller apartments with self-catered options, ideal for a romantic break or a trip with the family, or rent villas and houses, which are ideal for larger groups. Golf lovers will find apartments set in the centre of a beautiful, international-standard course, while nature lovers can explore the surrounding landscapes. And if soft golden stretches of beach are perfect for you there are plenty of opportunities to explore this beautiful area too. A holiday in Saint Gilles Croix de Vie wouldn't be complete without a day at the beach. 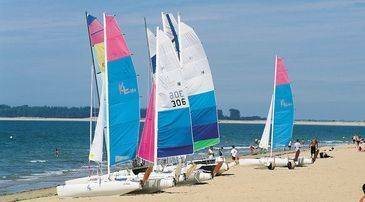 Home to one of the world's leading manufacturer of boats, Bénéteau, Saint Gilles Croix de Vie offers visitors plenty of opportunities to explore this beautiful coastline, from both the beach and the Atlantic Ocean. To get out on the water, sailing, canoeing, windsurfing, fishing and sand sailing are all available to try from the seafront. Families will find the vast expanse of Le Grand Plage ideal, with a promenade offering shops to mooch around and cafés selling drinks, snacks, and delicious French meals. The beach also offers good facilities, including changing huts, showers, toilets, and limited parking. Couples looking to enjoy a scenic day away from the noise can explore Le Plage de la Pelle a Porteau, which is a secluded beach bordered by rocks. At low tide a natural swimming pool is revealed on Le Petit Plage, which is conveniently warmed by solar heating. Those who prefer to keep their feet on dry land can wander through the pretty streets, or along the promenade where there are boutiques, souvenir shops, cafés and restaurants giving a sleepy traditional feeling to the town, or for a lively end to the day, the harbour side is home to bustling restaurants and bars. 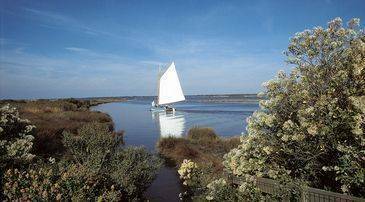 Wander along the banks of the La Vie River, which divides the town, for a day of serenity, or rent a bike and cycle through the pretty landscapes which surround Saint Gilles Croix de Vie. Walkers and hikers will find themselves spoilt for choice, and there is also horse riding, which will take you along scenic bridle paths and into the depths of the beautiful French countryside where salt marshes and peaceful paths abound. 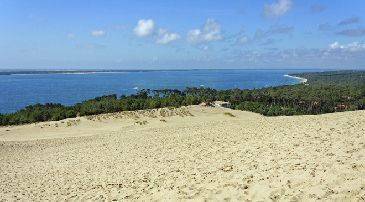 When travellers get itchy feet, the Vendée region offers action-packed activities aplenty. Le Puy du Fou theme park is worth a visit, for desperate stunts, animal shows and impressive re-enactment. The Zoo des Sables offers an exciting insight into an eco-zoo, from the cute red pandas, big lions, to the tiny bug hotel. Saint Gilles Croix de Vie is home to a comparatively large range of restaurants for a small town. Merely wandering through this working harbour, watching the fishermen haul in their daily catch, if you're early enough, makes visitors long for the freshly caught seafood from the Atlantic Ocean. As well as the local delicacy of fresh oysters, crab and langoustine are delicious in Saint Gilles Croix de Vie. Daily markets provide the perfect opportunity to pick up delicious ingredients from the surrounding farmland, including tender beef, colourful vegetables, freshly baked bread and traditional French patisserie. Whether you're travelling on a shoe string budget and are looking for small local restaurants or want to splash out with a visit to a Michelin starred restaurant, or can't wait to get stuck in and cook your own French classics, there is plenty available for hungry travellers here. 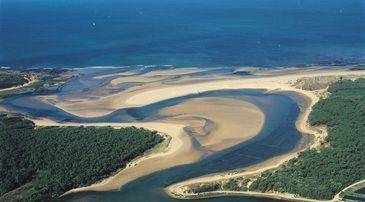 Away from the centre of Saint Gilles Croix de Vie lies the beautiful Fontenelles area. A firm favourite with French as well as international visitors, the area is just a 20-minute drive from the centre of Saint Gilles Croix de Vie, giving guests the best of both worlds, with the peaceful surroundings of the resort as well as a huge range of activities. With a choice of apartments, villas and houses, an 18-hole golf course, a swimming pool, and tennis courts topped off with glorious views. The resort offers two restaurants, and there are three supermarkets between 3 and 12km away. The Les Appartements de Fontenelles sleep between four and eight guests, offering the freedom of a self-catered holiday so visitors can explore the local shops and restaurants which can be found in the town. Located on the golf course, the apartments are ideal for golf lovers as well as providing a swimming pool and plenty of family-friendly activities nearby. Close by, the Les Villas de Fontenelles are set within the grounds of a beautiful chateaux and offer a serene location away from the crowds but close enough to all the incredible activities offered in the area. Sleeping six to eight people, the villas come with fully equipped kitchens and their own private swimming pool, garden and garage. Those wanting to enjoy the comfort of a home away from home can rent one of the luxury Les Maisons de Fontenelles, which offer easy access to the equestrian centre, golf course, and tennis courts. The houses sleep from four to six people, with spacious terraces and private gardens, plus a kitchen, living room, and individual decoration. Summer France brings customers the best of French accommodation with its choice of residences in Saint Gilles Croix de Vie.